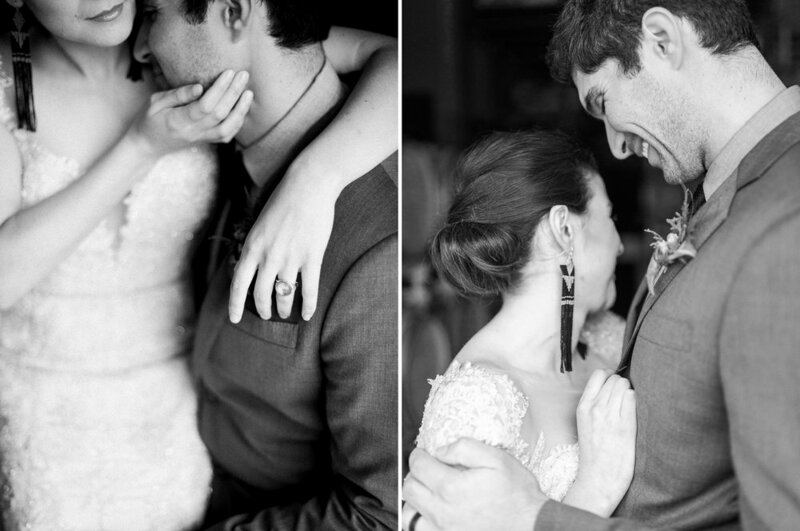 And if these two things are amazing on their own, how spectacular must they be together?!! 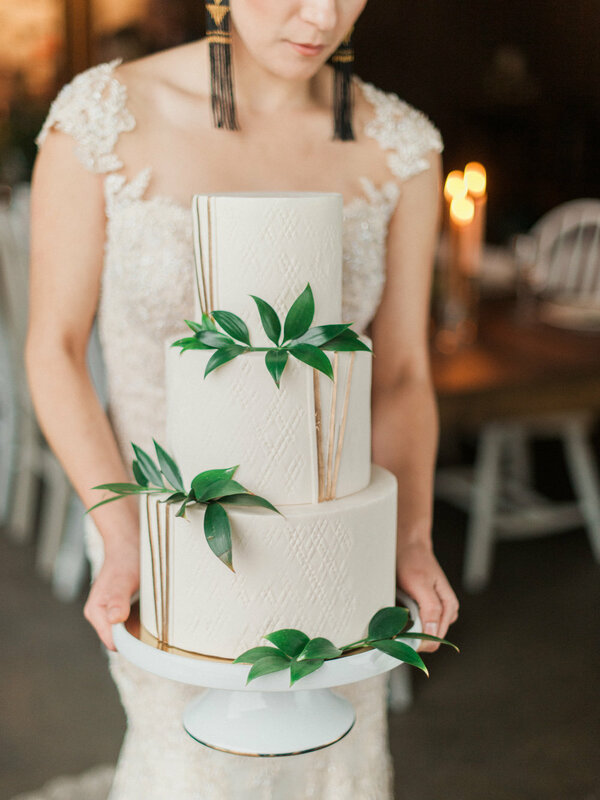 Well, judge for yourself but we loved the unique combination of this wedding inspiration. 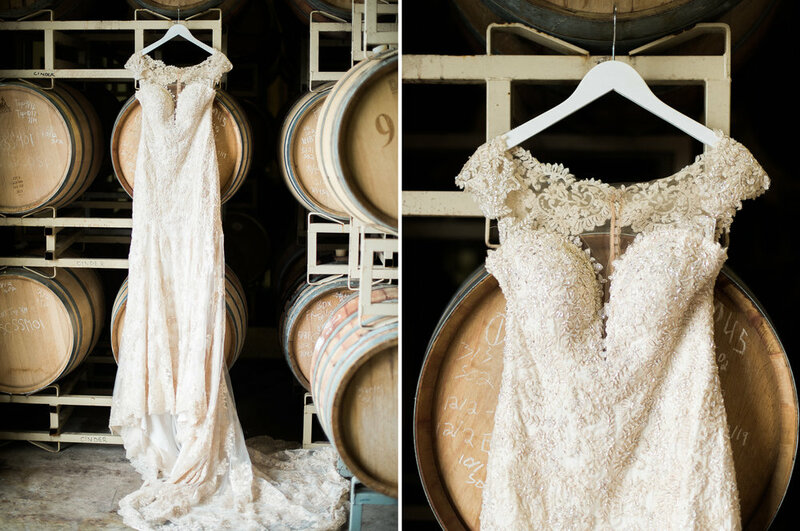 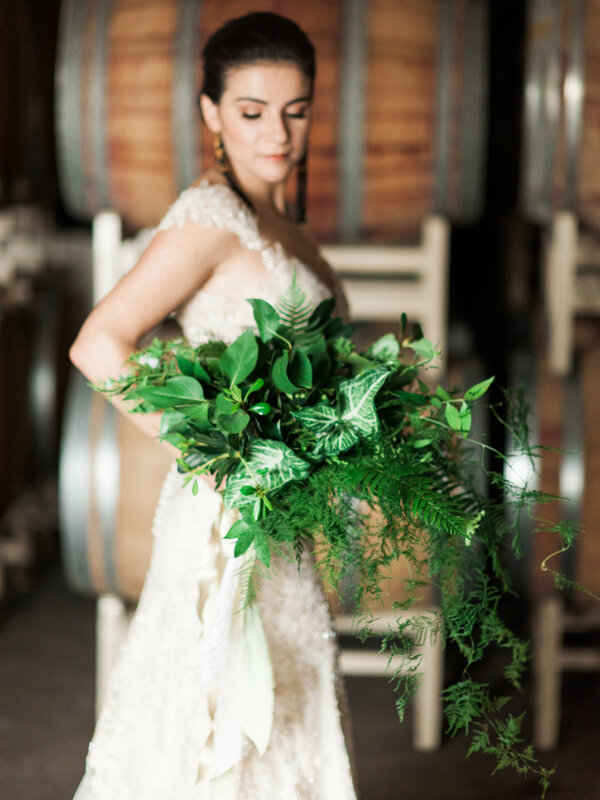 It proves that winery weddings don't have to be outdoor country chic — they can be bold, insanely elegant, and even industrial if you want it to be. 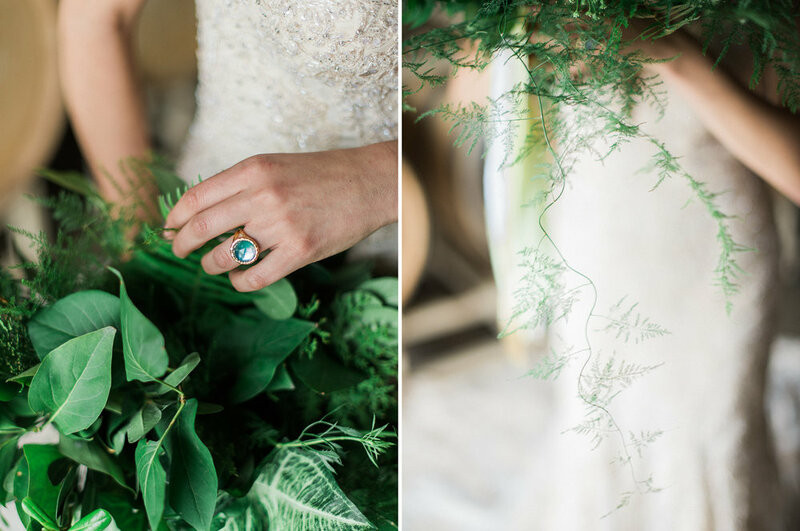 Everything from the extra long farmhouse tables and the simple gold foil cake to the spectacularly beaded lace gown and custom earrings told a story. 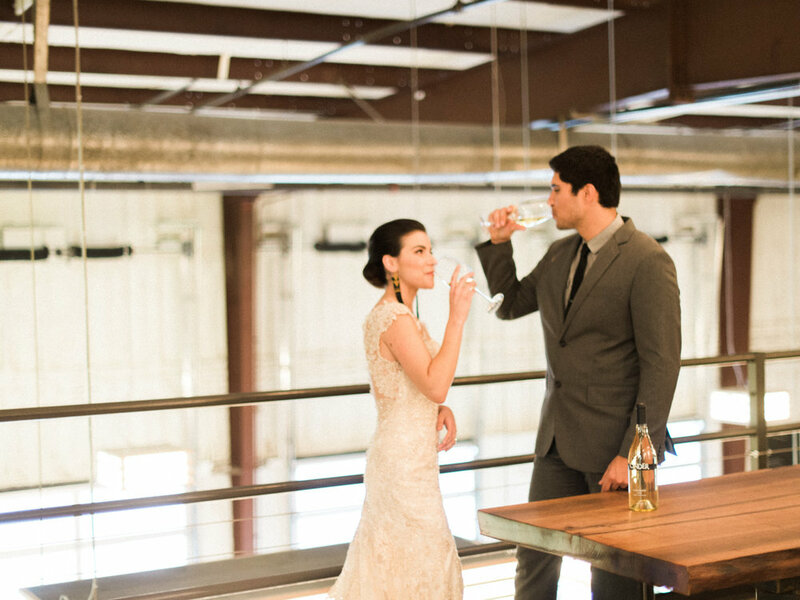 Check out these amazing vendors that brought this industrial, greenery wedding look to life!